Monsoons not so happy with Renault Duster! Heyy friends! This is Rajat from Kaanpur. I am presently using the Renault Duster Diesel RXZ Six speed option pack. The car is good in performance and mileage but in the monsoon season the car is a cause of a little disappointment. Actually the car has been loaded with ample of features but some of the basic features important for the rainy season are chopped off from the car. Like the rear fog lights are not there in the car. Features like the Rain sensing wiper, rear defogger are also not there which result in the diminishing visibility of the driver at the time of rain and especially when it rains at the night. It becomes almost impossible to drive at night when it’s raining because of the poor visibility. Also it’s not safe to do so. I actually loved this car a lot till now but as the rainy season sets in the problem has come to my notice. Now I am really disappointed as most of the time I have to stay at home or use some other conveyance if it’s raining outside because in my car it is almost next to impossible to drive safe with a clear vision. I would only recommend that if you are planning to purchase this variant and in case the place you live with is familiar with rains or even if you are buying it as the only car you would be owning and you won’t have any other option during the monsoon then please think twice over your decision, as this car is certainly not meant for rainy seasons. extreme body and powerful engine makes it hunky suv. The brown color really looks good at Duster. Till today Duster is not registred in any of the RTOs in any Indian cities. Gentle man can u share your Duster Register number ??? 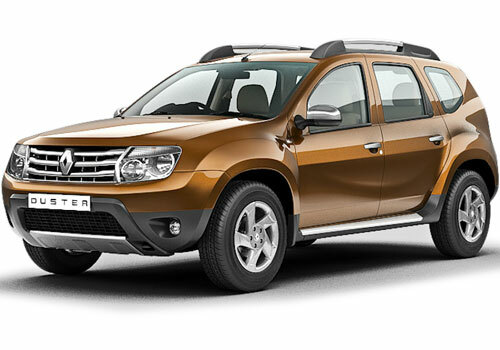 Renault Duster is delivers good performance for every time.